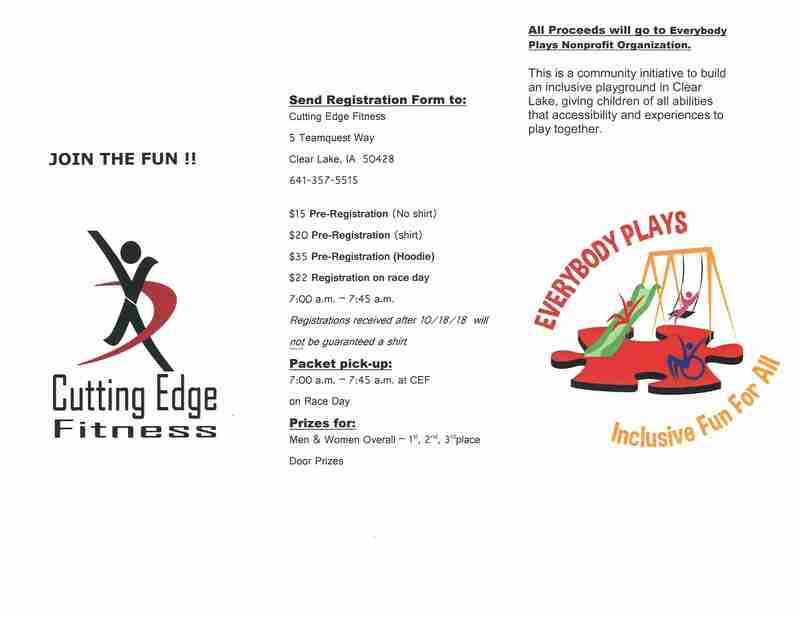 Cutting Edge Fitness of Clear Lake is hosting a charity event on Saturday, November 3rd for the Autism playground (Everybody Plays) in Clear Lake. 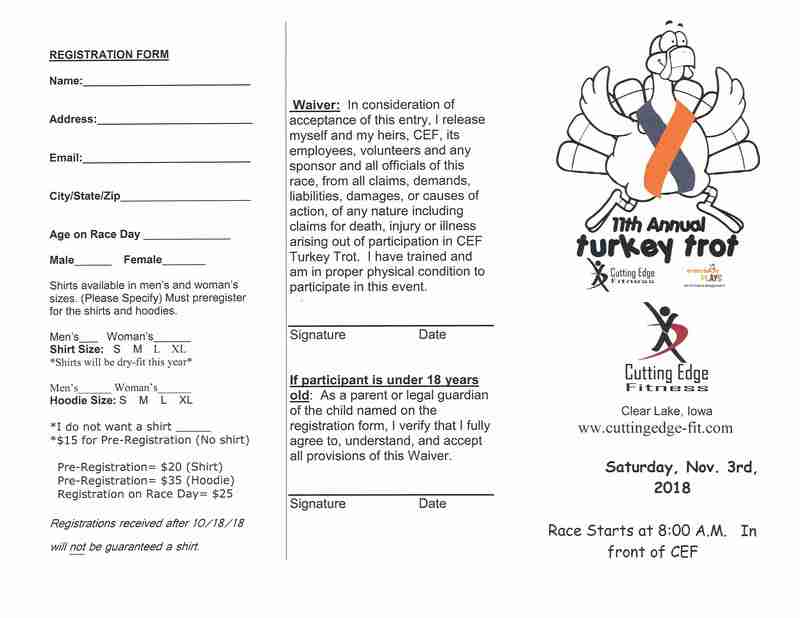 This is the 11th annual Turkey Trot. This will be a fun Run, Walk, Wag (Bring your dog) event. Race will begin at 8:00 am.